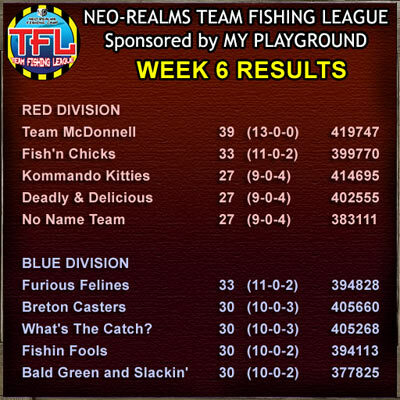 In Red Division, the undefeated Team McDonnell has a big points lead while the rest of Red Division battles it out for a close second. 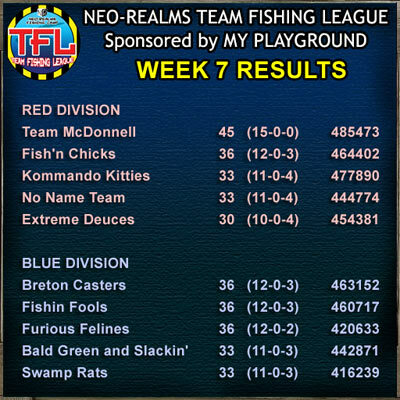 In Blue Division the Breton Casters hold on to top spot for another week on points difference, while the other teams race to catch up. This week we have two more matches to play. Good luck to all teams! 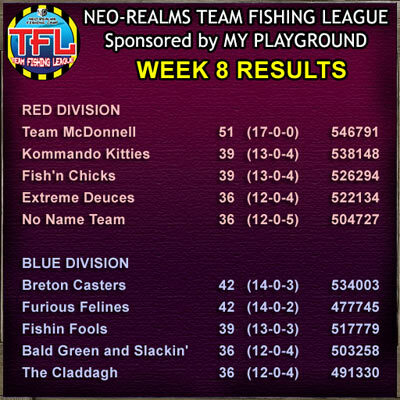 In Red Division, Team McDonnell keep their undefeated streak going. 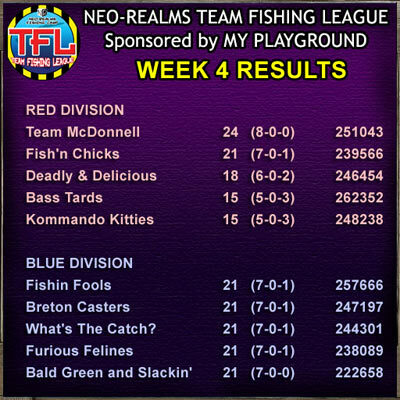 Meanwhile in Blue Division the Breton Casters move up to first place on points with Fishin Fools and Furious Felines only behind on points difference. This week we have two matches to play. Only 8 more matches in the season before the division playoffs. It will be a close race! Good luck to all teams! 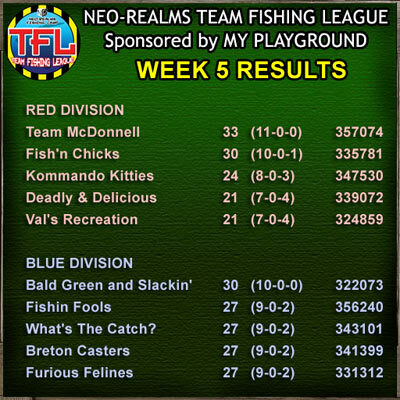 Team McDonnell hold a slim lead in Red Division, with Bald Green & Slackin' holding on to the lead in Blue Division with a game in hand. This week we've got two matches to play. Please finish matches before midnight on Sunday. Good luck everyone! This week there are 12 points up for grabs with three matches to play. Please finish matches before midnight on Sunday. Good luck!